PORT JEFFERSON, Long Island (WABC) -- There was an incredible rescue on Long Island. 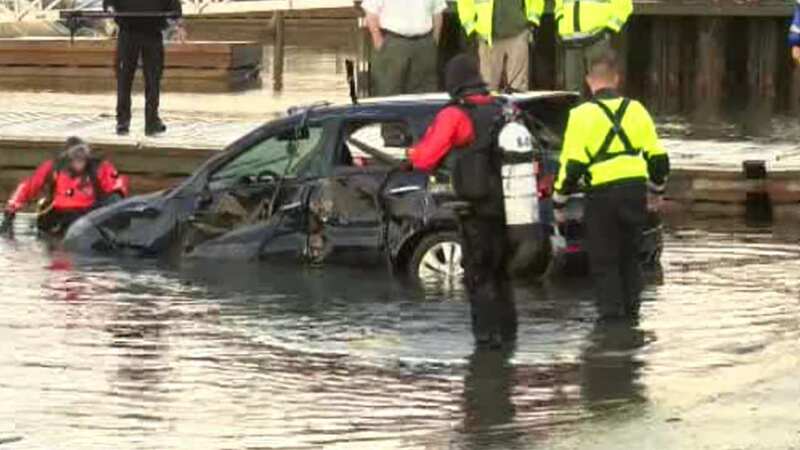 Two men rescued a man who was trapped in a car sinking in Port Jefferson Harbor. At the height of Thursday's thunderstorm, a car drove down a boat ramp in Port Jefferson. One man was trapped inside. Two people quickly jumped into the water and tried to save him. The man was rushed to the hospital in critical condition.